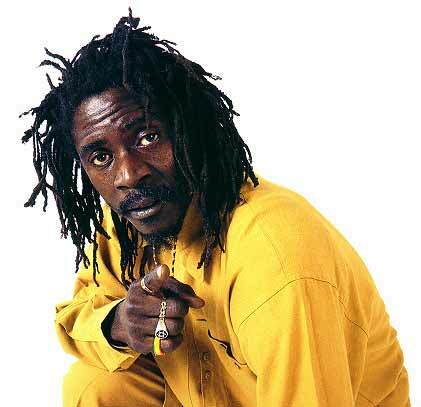 REGGAE LEGEND EVERTON BLENDER HEATS UP BROOKLYN BOTANIC GARDEN “CHILE PEPPER FESTIVAL” | STREETS OF NEW YORK 411 INC.
WHAT: Brooklyn Botanic Garden’s (BBG) annual Chile Pepper Festival will bring the heat for its 23rd year on Saturday, September 26, 2015. The festival celebrates the fiery fruit of the Capsicum plant with a full day of red-hot music and spicy edibles to sample on Cherry Esplanade, Garden tours, and more. Admission is $20 for adults, $15 for students and seniors, and free for members and kids under 12. Advance tickets are available at bbg.org/chilepepperfest—20% discount with code CHILEBK. WHEN: Saturday, September 26, 2015 | 11 a.m.–6 p.m.
WHO: A variety of musical acts burning up the Chile Stage, including EVERTON BLENDER, serving up his signature blend of roots and dancehall reggae, and headliners SIERRA LEONE’S REFUGEE ALL STARS, bringing its “positive revolution” born of West African Refugee Camps. In addition to the musical acts, visitors will enjoy Chilehead Paradise, a marketplace to try and buy artisanal foodstuffs, with vendors tempting taste buds with scotch bonnet pepper sauces, spice rubs, pepper jams and jellies, salsas, pickles, and dozens of hot sauces; Chocolate Debauchery, featuring sweet and spicy treats; a Tour-de-Chile of BBG’s bountiful edible plantings and highlighting the chile collection in BBG’s beautiful Herb Garden, and more. Media interested in passes, filming, and/or interviews are strongly encouraged to preregister to ensure access. ← “DIVORCE PAPERS” STARRING OLIVER SAMUELS’ IN NEW YORK THIS SEPT.